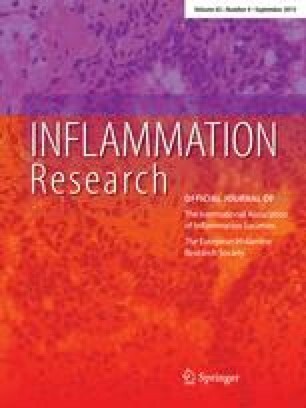 An earlier study demonstrated that hyperimmunisation of dairy cows with a polyvalent bacterial vaccine stimulated the secretion of a small molecular weight anti-inflammatory moiety in the milk. This hyperimmune milk factor (HIMF) has been further investigated in the present experiments. HIMF was found to suppress the cellular phase of the response to carrageenin and also the neutrophil-dependent reverse passive Arthus reaction. These results, together with the observation that the administration of HIMF led to an increase in the number of circulating neutrophils, suggested that the agent might inhibit inflammation by interfering with the ability of neutrophils to emigrate from the vasculature.In vivo studies carried out to evaluate this possibility demonstrated that HIMF suppressed neutrophil emigration by up to 75%.In vitro experiments established that the ability of neutrophils to respond to chemotactic stimuli or adhere to endothelial cells was not affected by HIMF. It is possible, therefore, that the agent modulates inflammation by down-regulating the synthesis of inducible pro-inflammatory cytokines or adhesion molecules. Attempts are presently being made to isolate the active moiety to allow the activity of the agent at the molecular level to be studied in more detail.